Where are child custody cases heard in Bucks County? Custody conferences, also referred to as custody "master's hearings," are held in the Masters' Office in the lower level of the Bucks County Family Court Building located at 30 E. Court Street, Doylestown, PA 18901. Custody conferences are usually scheduled in the courtrooms on the third floor of the Family Court Building, but are sometimes scheduled for the main courthouse, across the street from the Family Court Building. How do I file for custody in Bucks County? Bucks County has no local court rules for child custody cases. For that reason, parties filing for custody should use the forms and procedures specified in the Pennsylvania state rules. The child custody complaint is outlined in Pa. R.C.P 1915.15(a). The petition to modify custody is outlined in Pa. R.C.P. 1915(b). It is important to note that a copy of the current child custody order (if applicable) must be attached to petitions to modify custody and also petitions for contempt of custody. All petitions must be "verified" by the filing party, which means that the filing party must attest that the "the facts set forth in the [applicable court filing] are true and correct to the best of the [filing party's] knowledge, information, and belief, and are verified subject to the penalties for unsworn falsification to authorities under Title 18, § 4904 of the Pennsylvania Crimes Code." An original petition is all that is required to be filed with the Bucks County Family Court Prothonotary. No copies of the petition are required. For purposes of custody in Bucks County, or anywhere in Pennsylvania for that matter, a "party" is most often child's parent, but grandparents can also appeal a child custody order, and also third parties can also appeal a custody order in Bucks County under the legal doctrine of "in loco parentis." How long after filing does it take for a custody case to be scheduled in Bucks County? After a child custody is "docketed" in Bucks County, all petitions for custody (new complaints, modifications, and contempt) are reviewed by the Masters Office and routed to the next appropriate step in the Bucks County Family Court system, unless there is some "defect" in the filing which will cause the documents to be returned to the filing party with a "Problem Notice" for correction. New complaints for custody and custody modification petitions are scheduled for a conference no later than six (6) weeks from the date time-stamped on the petition or motion. Petitions for contempt of custody in Bucks County are usually scheduled for a conference, however, contempt petitions can also be directly scheduled for a hearing before a Bucks County Family Court judge in some instances. How do I find out when my custody conference is scheduled in Bucks County? A clerk in the Masters Office schedules all custody conferences. A copy of the custody conference order, which will include the scheduled date and time, and an information sheet titled "Notice to Petitioner" are mailed from the Masters Office to the filing party, also known as the petitioner or plaintiff in a custody case. It is the petitioner's responsibility to serve the respondent with a copy of the petition and the custody conference notice. How do I serve the other party with my custody petition in Bucks County? Serving the respondent in a custody case in Bucks County with the petitioner's custody petition and the custody conference notice must be in accordance with Pa. R.C.P. 1930.4. Regular mail is not sufficient. Certified mail should be by restricted delivery as the respondent, also known as the defendant in a custody case, must personally sign for the notice. It is important to note that neither the petitioner nor a family member can provide personal service of the the custody petition and the custody conference schedule to the respondent. Proof that the respondent was served must be provided by the petitioner at the custody conference in order to have the conference take place if the respondent is not present. "Proof of service," what Bucks County Family requires to consider the respondent served in other words, includes an affidavit of service from an party unrelated to the petitioner, or a certified mail receipt signed by the respondent. What happens at a custody conference in Bucks County? Child custody conferences are scheduled for one hour in the Masters Office. Approximately 40 custody conferences are scheduled per week, usually on Tuesdays and Thursdays. Additional days of the week may be scheduled as needed. At the child custody conference in Bucks County, the parties and the parties' attorneys are expected to be present and to participate in the conference. The custody conference begins with the custody master gathering information about the parties and the child or children. The custody master will obtain this information from the parties' attorneys, and as necessary, the parties themselves. The custody master will next discuss the child custody issues in the case, and will then discuss the next most appropriate step for the case. The next step after the custody conference can be: settling the case by agreement between the parties and the parties' attorneys; for the parties to participate in counseling in an effort to resolve the custody issues; scheduling the case for Court on a later date (a hearing before a judge); or a combination of these steps. If a settlement is reached at the custody conference, the custody master will prepare an agreement for the signature of the parties and the parties' attorneys. Once signed, the custody master will provide the parties and the parties' attorneys with a copy of the signed custody agreement. The signed custody agreement will thereafter be forwarded by the custody master to a Bucks County Family Court judge for the judge to review and sign. After a judge signs the custody agreement, it will become an "Order of Court" (a formal court order), and will be sent from the judge's chambers to the addresses of the parties and the parties' attorneys (if such addresses are included on the custody agreement). Are children allowed to attend the custody conference in Bucks County? Parties should note that children are not permitted to be present at the time of the custody conference. The custody masters will not speak with, or take testimony from, the child or children. Parties may believe this be unfair, especially if a child is old enough to offer an preference as to who the child would prefer to live with for example. 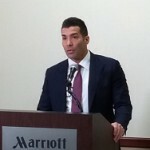 Parties should understand, however, that one of the goals of the custody conference in Bucks County is to help the parents decide how to proceed without unnecessarily involving the children in the custody dispute. In addition, the custody masters prefer that the child or children be interviewed by professionals trained and experienced in psychology or social work. Are parties allowed to participate in the custody conference by telephone? Parents with children who live in Bucks County may live across the state, or far outside of Pennsylvania altogether, or may have to travel for work purposes for example. In such instances, parents may be unable to appear in person at a scheduled custody master's hearing in Bucks County. Although a party is expected to be present at the custody conference in Doylestown on the date and time scheduled, parties may participate in the custody conference by phone with the prior approval of the Masters Office. When such approval is granted, party who is unable to appear in person will participate by speakerphone. When the custody Masters Office considers such a request, specific criteria will be considered. Criteria for approval of participation by phone include the inability to be physically present because of the distance to Doylestown, a medical condition that prohibits travel, or incarceration in prison. A party considering such a request must understand that the distance to Doylestown must be prohibitve, not inconvenient. Medical documentation in the form of a doctor's note may be required in a party's request is due to medical reasons. If prior approval is granted for a party to appear at the custody master's hearing, the party must call the Masters Office at the scheduled time of the conference. Because the specified time of the custody conference is subject to scheduling constraints on the date of the conference, the party may be asked to call back if all parties are not present or if there are no custody masters available at that immediate time. What happens if the parents cannot come to an agreement at the custody conference? If the custody issues are not resolved at the custody conference, a hearing before a Bucks County Family Court judge can be requested by either party. If a hearing is requested, the parties will be served with notice of their court date at the end of the custody conference. Such notice will include the date and time the hearing before the custody judge is scheduled. Also at the end of the custody conference when a judge hearing is requested, the custody master will prepare a report to be forwarded to the Bucks County Family Court judge who will be assigned the case. The purpose of the custody master's report is to provide the judge with an outline of information about the parties, the child or children, and the custody issues. The custody master's report may contain a recommendation as to how the master believes the case should be resolved, a recommendation will not be included if primary physical custody of the child or children is in contested. How do custody trials get scheduled in Bucks County? If the custody case is not resolved at the custody master's hearing, the Masters Office will schedule the custody judge hearing. As noted, the hearing is usually scheduled at the conclusion of a custody conference, and a copy of the unsigned hearing order (to be signed by a judge at a later time) will be hand-served to the parties at the end of the conference. Before the custody judge hearing is scheduled, the custody master will inquire with the parties' attorneys as to what dates they are available. Custody judge hearings in Bucks County are usually scheduled to take place four to six weeks after the custody master's hearing. If an emergency or other circumstances exist which required "expedited relief" from the Court, a hearing before a judge may be scheduled earlier than the standard four to six weeks. If parties or the parties' attorney required greater preparation in advance of the custody trial, a trial date can be scheduled beyond the standard four to six weeks. Custody cases are scheduled to be heard by the next available Bucks County Family Court judge. If other Family Law matters are pending between the parties, the custody judge may not be the same judge(s) who are presiding over the other matters. In custody cases that have to be extensively litigated, judge hearing dates may be delayed so that the same custody judge may hold the subsequent hearings. Part of the process of scheduling judge hearings in Bucks County is that child custody cases, when applicable, are placed on "lists" containing up to eight other miscellaneous Family Court matters. Listings for extended custody litigation generally does not take place until after the first court date before the assigned judge, and will be at the direction of the assigned judge him/herself. Can my custody trial be continued in Bucks County? Child custody trials do not always proceed when scheduled for various reasons. If the case is rescheduled, not heard, or requires a second day of hearing, the parties' attorneys should submit a new Motion and Order for a hearing and file this with the Family Court Prothonotary located at the Bucks County Justice Center, 100 North Main Street, 1st Floor, Doylestown, PA 18901. The Bucks County Family Court Prothonotray phone number is 215-348-6191, and the Prothonotary's Office is open from 8 AM - 4:15 PM Monday through Friday. The filed Motion will be given a new court date by the Custody Masters Office, and notice will again be sent to the filing attorney for service on the respondent (in accordance with the same provisions as outlined above). The stakes can be high when Bucks County Family Court decides the custody of a child or children. A Family Law attorney can help you achieve your goals, whether custody issues are resolved at the custody master's hearing, or at trial. Whether the petitioner or respondent in a child custody case in Doylestown, a Pennsylvania attorney experienced with Bucks County Family Court practice and procedure can help you navigate the steps required, and can provide you with the advice and advocacy needed to get your position heard and recognized. Contact attorney Joseph D. Lento today to learn how he can help.